I had an interesting chat with Michael Fauscette, the chief research officer for G2 Crowd, a site that focuses on reviewing business software and services. 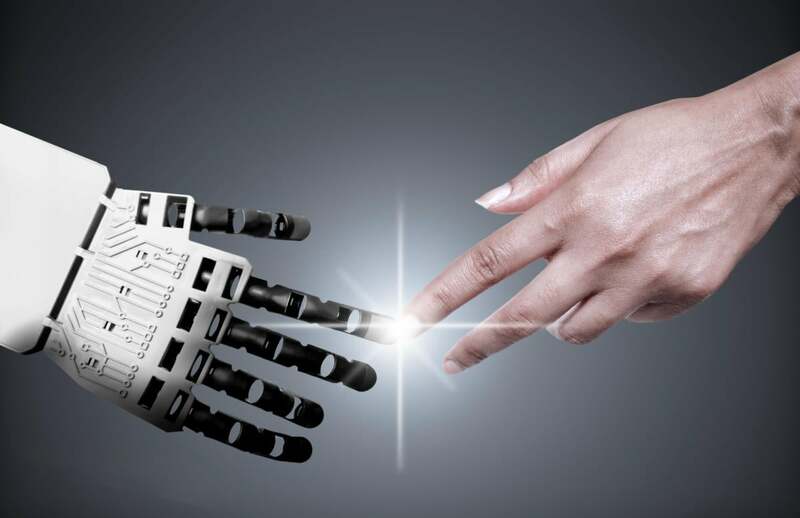 His research identified a major trend, the application of artificial intelligence (AI) for HR. I have a degree in this area, and my first career path, which didn’t survive college, was supposed to be in HR so the topic interested me. As we chatted it became clear that Michael and I were in agreement about the future of AI. We both believe that soon we’ll be up to our armpits in AI agents in virtually every area of business operations, and IT shops should be at the very least anticipate the possibility that robots may start replacing employees. Since we started with HR, I’ll mostly focus on that and then close by expending out to the rest of the company. In the end, however, I’m talking about a future that is less humans vs. machines and more humans + machines and a far better path for both. As I mentioned above, I went to college with the intention to work in HR. Then congress, in its infinite wisdom, decided that the science surrounding it in the ‘60s and ‘70s was discriminatory and should be thrown out. Minorities were underrepresented in college programs that focused on skills, and education tended to give results that appeared discriminatory, so we moved from focusing on skills to focusing on quotas and compliance when we should have instead focused on fixing education. Things are starting to come back, decades later, to focusing on skills. However, we now need to wade through a massive amount of information to manage employees more effectively and HR isn’t staffed for this effort and likely never again will be. This is where an intelligent agent can, and increasingly is, closing the gap. From being able to scan information ranging from school records to social media posts and then pulling the information into an initial pass/no-pass decision to weed through candidates is only the first step. Intelligent agents will eventually be able to look at a mass of available candidates and rank order them against existing job requisitions ranking them by whether they are internal or external, by education and experience, and by personality and work ethic. Thereby, the top three that you actually interview or recruit will not only meet the hard qualifications of experience and education, but the soft qualifications of personality and ethics. This isn’t just about selecting the employee, it is about monitoring them and their interaction with management. It is often nearly impossible for HR to address a bad manager problem unless it crosses over into zero tolerance behavior like substance abuse, sexual harassment or hostile workforce behavior. An AI agent can look at both the formal and informal reports on an employee’s performance to determine what the actual problem is and then recommend mitigating corrective action that could range from a job change, to training, to removing a manager from management. If AI can do a better job of employee selection, then reasons for failure attributed to bad skills or a bad personality match will be addressed up front. The analysis can then focus more on management, support, or changes in the employees’ life during their job history. Just the identification of a disgruntled employee early on who is likely to compromise company assets or act out physically would likely justify this kind of technology alone regardless of the improvements in employee focus, morale, and productivity. It is also interesting that some of the highly repetitive jobs that people hate doing are actually the most likely to be automated, which should help improve overall relations between companies and the people they employ. Ultimately, AI agents can and will be focused on all areas of business. From better qualifying sales leads and providing a framework for a sales approach uniquely designed for the prospect, to looking across a company to identify obvious waste, point out for corrective action stupid decisions, and flag unusual behavior that could be associated with either an internal or external security breach in progress. The implication, however, isn’t the replacement of employees (except for jobs that are highly repetitive and aren’t optimized for people anyway). The use of AI agents simply makes existing employees far more effective, more capable and far less likely to make mistakes. It is a blending of human and machine into something more, something that optimizes what people are good at, applying creativity to a problem, and ties it to what systems are good at (scanning massive amounts of data quickly and forming related recommendations) to create something more than either could ever do individually. This is the most likely near-term best application of agents, not replacing people, but making them better and far more effective. So not people vs. machines but people + machines and that has always been the better path. This story, "The future of AI is humans + machines" was originally published by CIO.